"A Hasidic Municipality in New York: As American as Apple Pie?" 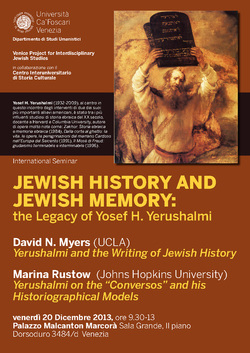 "Yosef Hayim Yerushalmi and the Writing of Jewish History"
"Only in America! Kiryas Joel--A Satmar Hasidic Village in Suburban New York"
"New Trends in the Historiography of Jewish Nationalism"
Conference on "Did Something Happen to Zionism on the Way?"